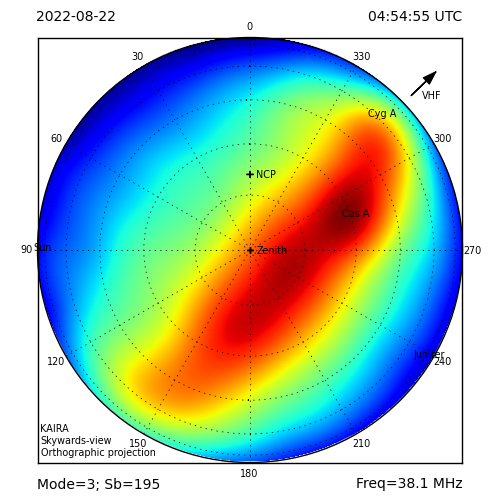 One of the primary experiments for KAIRA is to observe incoherent scatter from the EISCAT VHF transmitter near Tromsø, Norway. 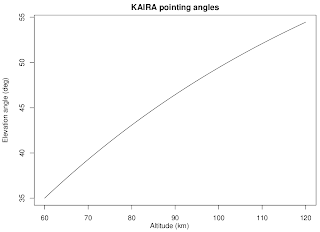 In order to do this, the digital beam of KAIRA needs to be correctly pointed to intersect the correct volume of the ionosphere. 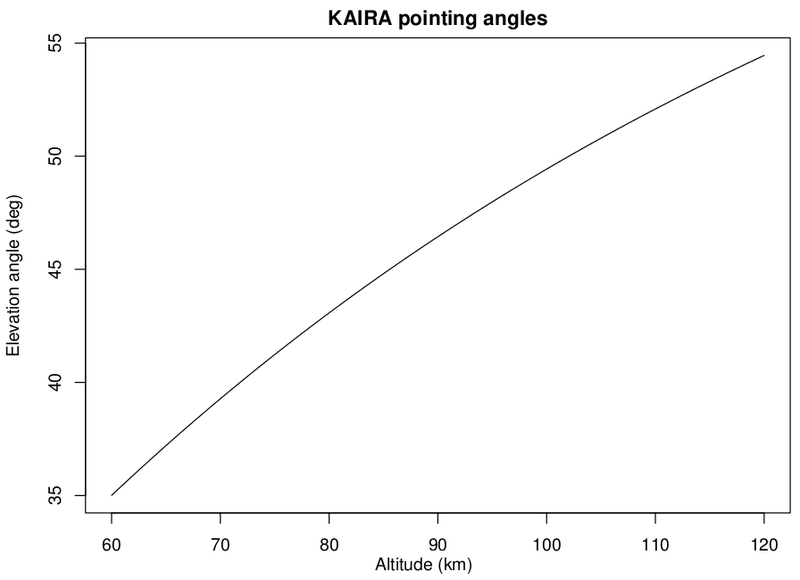 To assist experimenters in planning this, the following graph can be used to estimate the centre elevation for a given altitude. Click on the graph to see the enlargement. 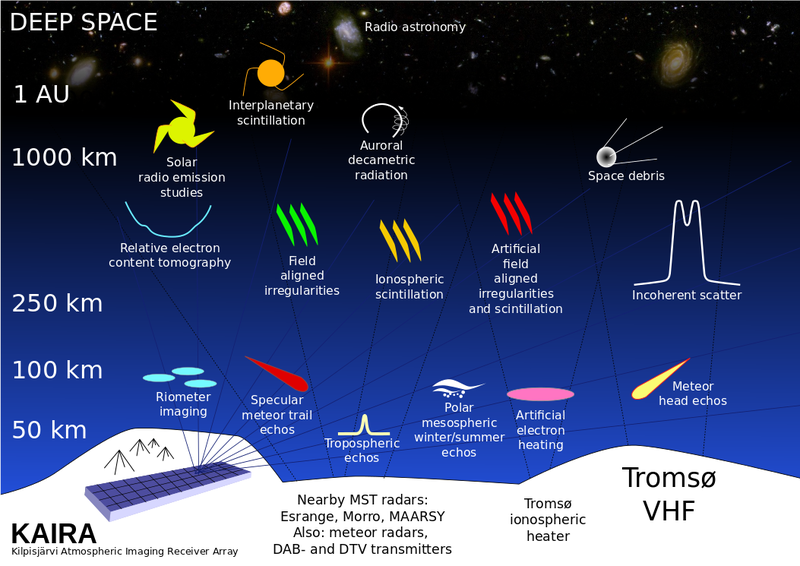 Please note that depending on the observing frequency, the beamsize can actually be quite large, spanning many degrees.